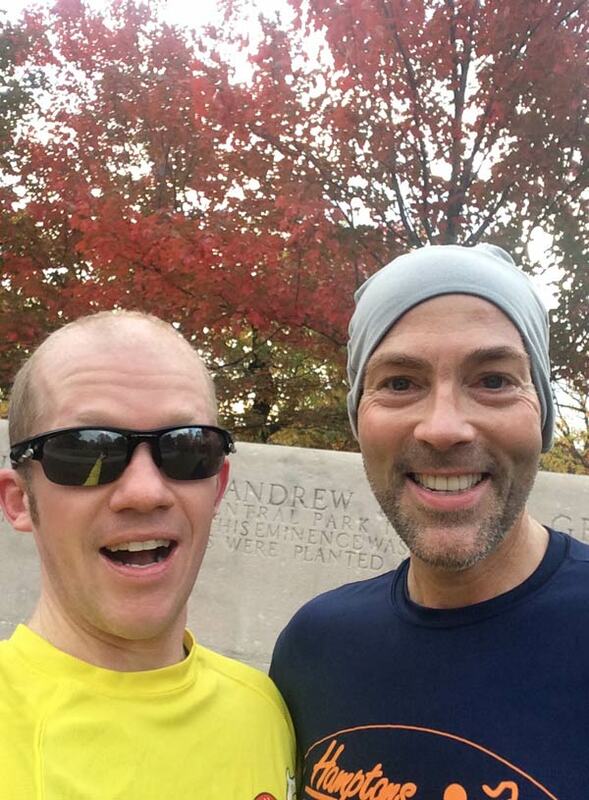 This morning, instead of doing our normal Tuesday speedwork, my friend (and Gotham City Runners teammate) Nelson Aspen and I decided to do a historical Central Park run. 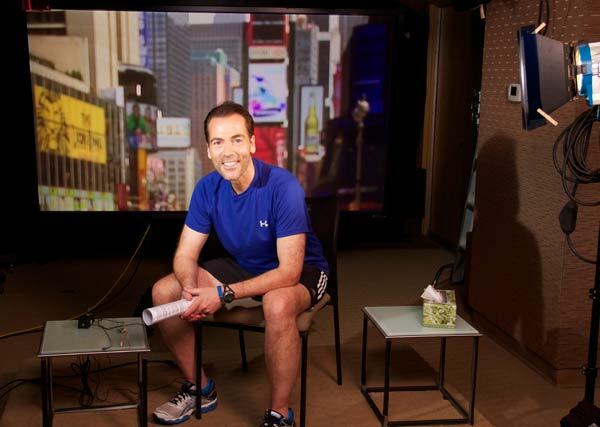 I would also interview him to discuss his new book, our mutual love of running, and New York City. 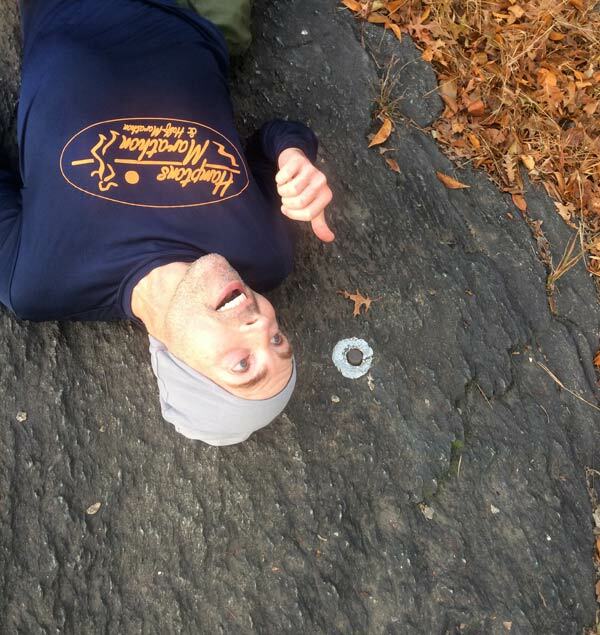 We took off, running down the west side in awe of the fall foliage. NA: Look at these colors! I really think this week is peak fall foliage here in Central Park. So tell me about these ‘spikes’ we are hunting for around the Park? 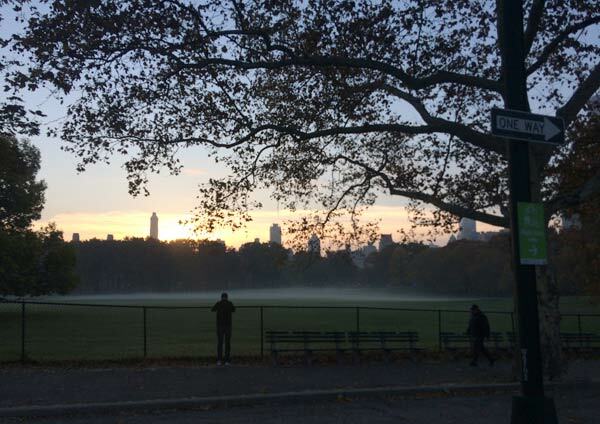 CB: Well, when The Commissioners Plan of 1811 envisioned their master grid plan for the city of Manhattan they needed someone to survey the land. That man was John Randel Jr. Over the course of 10 years Randel would traipse through the wilderness of Manhattan dropping markers everywhere an Avenue and Street intersected. Central Park was conceived 50 years after the grid plan, so some of his markers are still here! We ran on, admiring the fall weather. 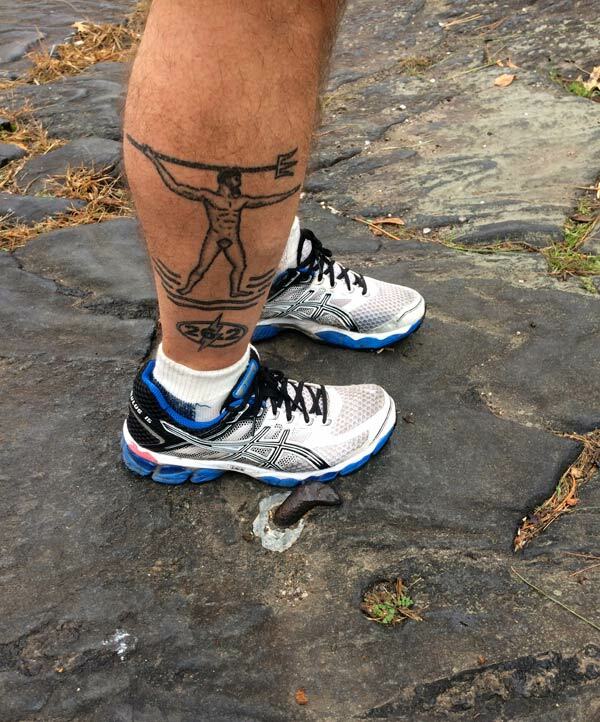 CB: How many marathons have you run again? CB: Really! That’s exciting. What was it that got you started? I mean, you lived in New York City in the early 80’s, did you just start out here in Central Park? NA: ‘Laughing’ Oh no. 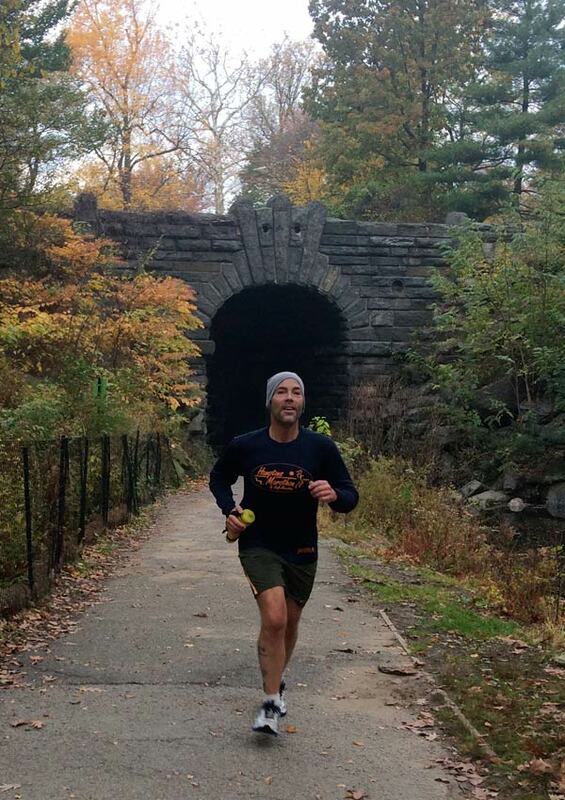 You didn’t run in Central Park back then. 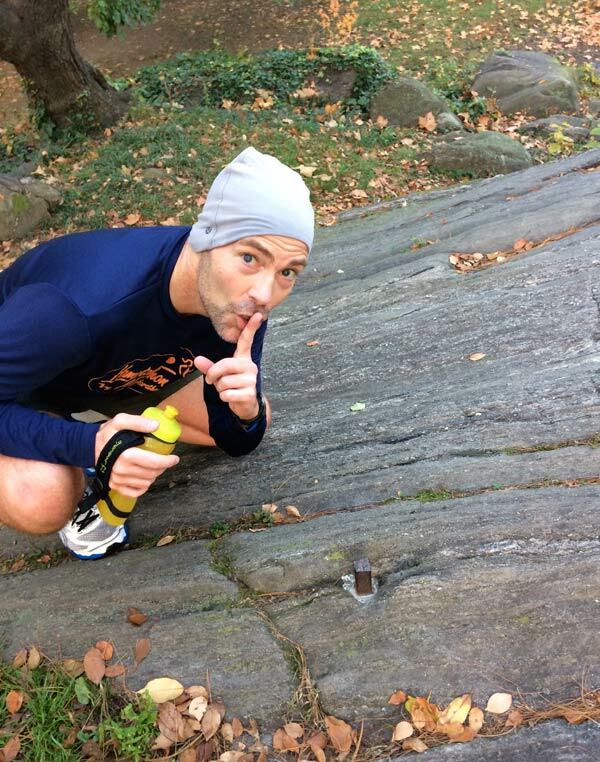 In fact, you really didn’t go into Central Park back then! I didn’t start running until I moved to L.A. in 1990. And only then because I saw a flyer there advertising a trip to run the Honolulu Marathon if you did some fundraising. So I did it! CB: Wait, a (basically free) trip to run a marathon in Hawaii? Oh right, back then the running craze didn’t exist right? Just then we were arriving at the location of the first Grid Spike. I had found this one on my own about a year ago. We admired it for a moment, noting how precise it was as we looked off at the cross streets. Pretty hard to imagine Manhattan overtaking The Central Park. CB: How was your weekend? You were in L.A. right? NA: Yes! It was hectic. But I always manage to squeeze in a few runs to keep me sane. Nelson keeps a crazy schedule as an Entertainment Journalist and appears every weekday on Australia’s #1 morning news show. He’s kinda like the Ryan Seacrest ‘down under’! CB: When did you decide to leave L.A. and come back to Manhattan? NA: Actually I always missed NYC. Once my beloved springer spaniel passed away at the ripe old age of 16, I looked around and thought, “What am I doing with this big house and yard and car and stuff! ?” I missed the simplicity of living in Manhattan and I was fortunate that my TV gig supported the move. I spent 22 years in Hollywood… you serve less time for murder! The next grid spike was one I found more recently and one that is a little more off the beaten path. We headed off the park drive onto the trails and soon came upon our second artifact! 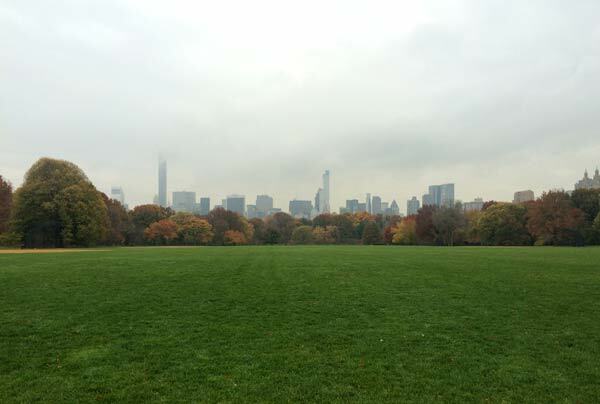 A common misconception is that Central Park was 100% man made. Not true. In fact, most of the North Woods are virtually untouched. CB: Hey so let’s talk about this book of yours. You said there are a few famous runners, not to mention loads of celebrities involved? NA: Yes… it’s my fifth book and my favorite so far. 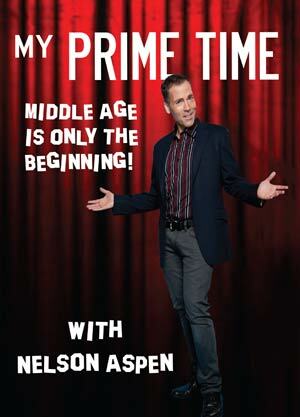 “My Prime Time: Middle Age is Only the Beginning.” It’s not only a road map to all the fabulous benefits of being a grown up, but I profile a lot of my celebrity pals who make it all look so easy. Hugh Jackman, Jodie Foster, Julianne Moore, Brad Pitt… many, many more. Many renowned health care experts and running buddies are in there, too. Dean Karnazes, Kathy Switzer, Roger Robinson. There’s something in there for everyone, regardless of age. CB: Awesome man! I am excited to go to the book release party at JackRabbit Sports in a few weeks. You expecting any surprise guests to attend? NA: If I told you, it wouldn’t be a surprise. I bet you’ll recognize a few faces there. We finished up our run of 5 miles at the third grid spike. It was a beautiful morning and a lot of fun to interview my friend as we cruised around our park. Everyone in the New York City area should try and come out to Nelson’s book signing this Tuesday, December 2nd at 7PM at JackRabbit Sports (Upper West Side location).